300 gallon acrylic display tank measuring 7′ x 3′. Built with three-quarter inch acrylic. 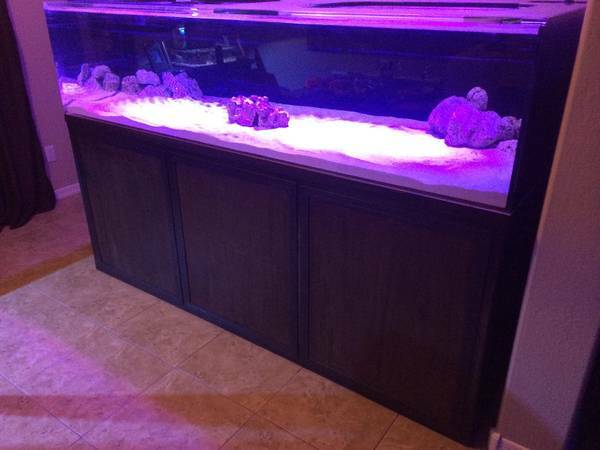 Massive 5 x 2′ sump about 125 gallons with three chambers .